Welcome to SCtoC's coverage of the SERVPRO First Responders Bowl. Here, we will preview this match up between the Eagles of Boston College and the Broncos of Boise St. This will serve as the preview and game thread. Included will be scoring updates and stat summaries following each quarter, and at the end of the game. We have provided links to the twitter accounts of the team, as well as the account for the bowl game itself. 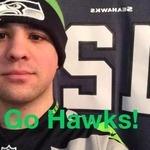 Frequently those accounts will have additional updates leading up to, during and after the games. What: The Eagles and the Broncos face off in Dallas. When: Wednesday, December 26 at 10:30 a.m.
Where: Cotton Bowl; Dallas, Texas. 2018 Records: Eagles 7-5 (4-4 Athletic Coast Conference); Broncos 10-3 (7-1 Mountain West Conference). Head Coaches (overall as HC): Eagles - Steve Addazio (51-49); Broncos - Bryan Harsin (59-20). Previous: The teams have faced each other just once in their histories. The Eagles won that game, the 2005 MPC Computers Bowl, by a score of 27-21. Eagles Notes: Boston College is one of two Catholic universities which are represented in the FBS (the other is Notre Dame). Among the most decorated Eagles is quarterback Doug Flutie, who won the Heisman Trophy for the 1964 season. Flutie would go on to enjoy a 21-year professional career in the National Football League, Canadian Football League and United States Football League. Quarterback Matt Ryan, who was the NFL's Offensive Player of the Year in 2016, and linebacker Luke Kuechly, who was the NFL's Defensive Player of the Year in 2013, are also notable former players at Boston College. Anthony Brown will line up under center for the Eagles. The redshirt sophomore was 158 of 285 passing for 2,121 yards with 20 touchdowns and nine interceptions. A.J. Dillon has gained 1,154 yards off 227 carries with 10 touchdowns. Brown has some targets, including Kobay White who caught 33 passes for 526 yards and three touchdowns. Jeff Smith added 20 grabs for 387 yards and six scores, while Tommy Sweeney tallied 32 receptions for 348 yards and three touchdowns. Broncos Notes: Boise St. is 12-6 in bowl games, with all 18 of those contests coming since the 1999 season. Head coach Bryan Harsin has gone 3-1 in the previous four years. The Broncos will look to repeat their bowl success from last season's 38-28 win over Oregon in the Las Vegas Bowl. The Broncos have won the Mountain West'sMountain Division title the past three years. Senior quarterback Brett Rypien is a four-year starter who has completed two-thirds of his passes this season for 3,705 yards with 30 touchdowns and seven interceptions. The nephew of former Washington Redskins quarterback Mark Rypien will be playing his final collegiate game and could hear his name announced at the NFL Draft in April. Alexander Mattison, a junior running back, has had a stellar season, gaining 1,471 yards on 302 carries (108.9 yards per game. He'll figure strongly into the offensive game plan for the Broncos. Sean Modster and A.j, Richardson have paced a balanced receiving group. Modster, comes in with 68 receptions for 978 yards, while Richardson tallied 54 catches for 825 yards. Both scored eight touchdowns each. Bowl Note: This is the ninth incarnation of the First Responder Bowl. It was previously known as the Heart of Texas Bowl and the TicketCity Bowl in in 2011 and 2012. This is the first season where Servpro is the sponsor of this game. Texas Tech topped Northwestern in the first match up, 45-38. Utah won last season's entry, 30-14, over West Virginia. 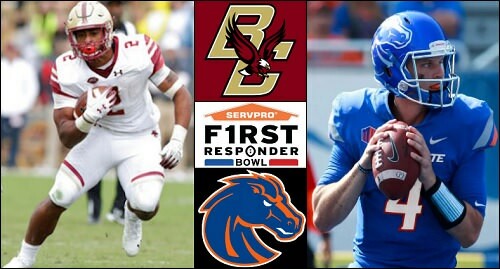 Both Boston College and Boise St. are making their first appearances in the First Responder Bowl. Graphic Credits: Above left: Eagles RB A.J. Dillon (photo by Michael Conroy/Associated Press). Above right: Broncos QB Brett Rypien (photo vy Brian Losness/USA Today Sports). I would say the Broncos are the favorite in this game. It would be great to see Rypien put on a show for NFL scouts. We are delayed with Boston College leading 7-0 with just under five minutes left in the first quarter. The delay is due to lightning in the Dallas area. Updates will be provided as they come. After an hour and 20 minute delay First Responder Bowl officials have announced the cancellation of the game. It has been ruled a no contest. The NCAA can make some really stupid decisions, but I really hate this. Why not move it to later in the day? 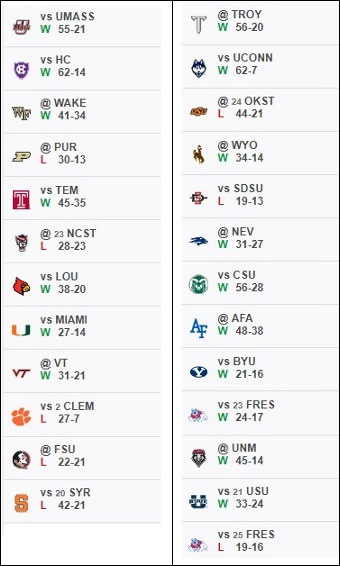 Disappointing for both Boston College and Boise State's rosters. Especially the senior classes who were looking forward to their final game. I can't agree more. They could have postponed until later in the day. I would like to see Angi's opinion on this. I mean, she tweeted, but I would like to hear more from her on this. I think for some of the seniors, this could have been major exposure by some NFL or CFL scouts. Instead, they just canceled it and some of these guys could suffer if they would be considered to be drafted. And after only an hour and 20 minutes. This was a very poor decision on the NCAA and Bowl officials' parts. Very, very poor. Well guys, I don't want to put it on my sleeve here, but I'll respond. I am livid. Absolutely livid. There could have been so many other options. Julie hit it on the nail. I think of Bret Rypien, our QB, who could be borderline drafted by a team. This is not going to help his stock. I also wonder what might have happened if this would have happened last season with Leighton Vander Esch, who was drafted by the Cowboys last year in the first round. The bowl game gave him exposure. Without it, he could have possibly slipped. He definitely would have been drafted, but maybe not in the first round, and that could have affected his contract and so forth. Canceling this game was a joke. Postponing it would have been the way to go. Unfortunately, they pulled the trigger too soon. Also, this does not help future First Responders bowls. What schools would want to make the trip knowing it could be canceled unduly. Just absolutely ridiculous. Again, I am very, very livid.